It’s already one of the most impressive vehicles currently available in the UK but Land Rover has announced a new service pack for its Range Rover Evoque. Buyers will now be able to pay £499 which will cover all of the car’s servicing costs for the next five years – which will obviously extend to those who lease the car. The Range Rover Evoque already enjoys strong residual values and the new pack covers routine maintenance through the firm’s network dealerships and approved service centres. This means that qualified Land Rover service advisors and technicians, using genuine parts, will be looking after their vehicle. Although Land Rover say the Range Rover Evoque is covered for five years, they really mean 50,000 miles for the Si4 petrol engine or 60,000 miles for diesel engines, whichever comes sooner. Although a real attraction is that customers will be able to transfer the service pack to a new owner should they decide to sell their vehicle. The Range Rover Evoque was launched in 2011 and has sold in excess of 30,000 vehicles in the UK and has swiftly become Land Rover’s biggest selling model worldwide. Full details, terms and conditions are available at: www.landrover.co.uk/approvedservicepack. 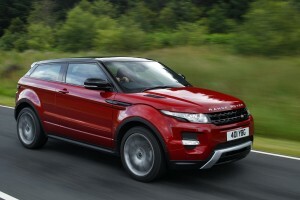 The Range Rover Evoque is a great car to lease and a cost-effective method of owning one. This entry was posted in 4X4 Car, Executive Cars, Manufacturer News, Sports Car and tagged Evoque, land rover, lease the Range Rover Evoque, range rover, Range Rover Car Leasing, range rover evoque, Range Rover Evoque service pack by Steve Lumley. Bookmark the permalink.